Our favourite time of the year is back! 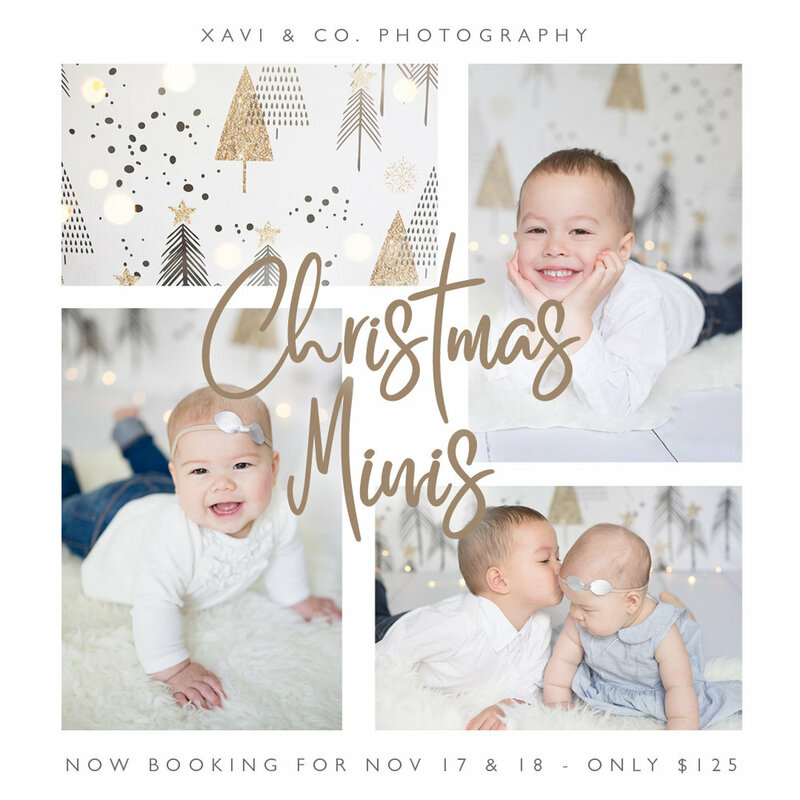 Book online now and reserve your spot for our Christmas Mini Sessions. We're only offering two days of sessions (November 17 & 18) and they'll all be held at the beautiful Studio Lantern (556 Clark Dr, Vancouver, BC). 5 digital images from your gallery (additional digital images $20/each). **Paid in full at time of booking. 100% refundable if cancelled 5 days before session. 50% refund if cancelled less than 5 days before session. PROMO: If you “like” Xavi & Co. Photography on Facebook and share our post about Christmas Mini Sessions on your page before October 15th, we’ll add a bonus digital download to your 2018 Christmas mini session package.